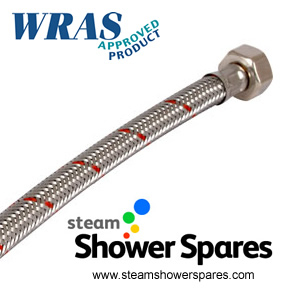 Silver Braided Shower Hose. 15mm couplings on either end. 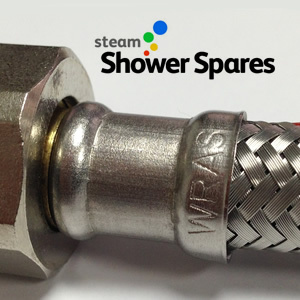 Suitable for Hot water connections to your shower. One end is a flat threaded connection, the other is a 90 degree connection.